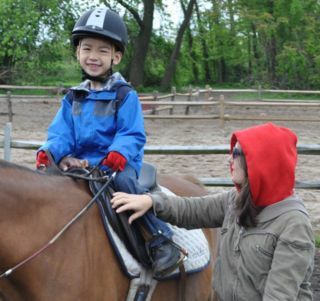 Seaside 4 Therapeutic Riding is a non-profit corporation dedicated to enriching the lives of children and adults with disabilities. 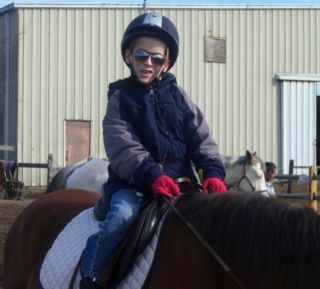 With the help of skilled horses, a team of certified instructors, and dedicated volunteers, students are taught horsemanship skills appropriate for their age and level of ability. 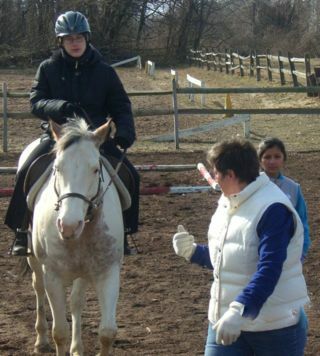 In addition, students are taught the foundations of equine behavior and proper equine care. Physical, Occupational and Speech Therapists are invited to work with our certified instructors and primary caregivers to develop individualized riding plans with educational, recreational and physical goals. 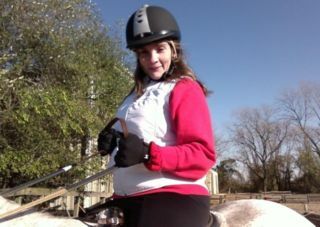 Lessons are $50 each, and include 25 minutes of saddle time plus time for mounting and dismounting. One of the primary tenets of riding is that the horse and human relationship can act as a metaphor for the human-to-human relationship. The emotional bond created between horse and rider is invaluable in that participants may, for the first time in their lives, experience safe and nonjudgmental love and friendship. Our hope is that this experience will be translated into positive human relationships in our students' everyday lives. The horse and human bond has been known since antiquity for its healing qualities. With a horse's non-judgmental acceptance and tolerance, students are highly motivated to learn and to realize their full potential. For individuals with physical disabilities, the rhythmic walking motion of the horse closely simulates a person's walking gait, and students experience improvements in muscle strength, flexibility, balance, and coordination. With greater freedom of movement comes an increase in self-esteem, confidence, personal mobility and independence. 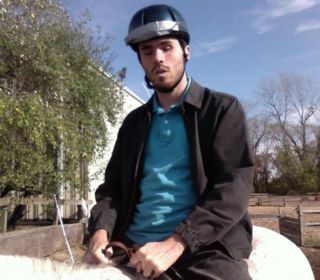 For individuals with cognitive disabilities, horseback riding offers a motivational opportunity to improve their concentration, attention span, memory, and language skills. For individuals with behavioral and emotional challenges, the positive horse and human interaction experienced through horseback riding can result in a greater sense of teamwork, responsibility and communication. As the bond develops, so does the student's ability to take risks and deal with both success and failure. 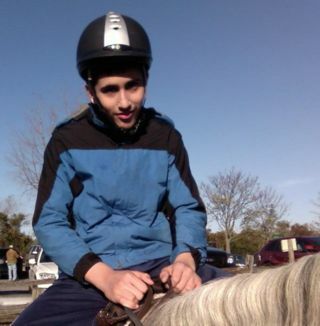 The special connection between a horse and its rider improves one's outlook and fosters a positive approach to life. Perhaps the most rewarding of all the activities, and certainly what makes this program unique, is the time spent with the horses. 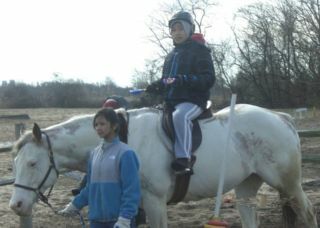 The students learn basic riding skills in the arena and on the trails, as well as equine first aid and proper feeding and bedding techniques.